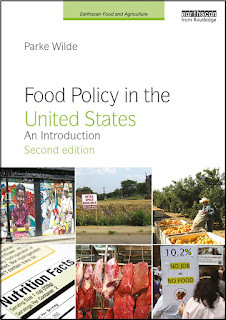 U.S. Food Policy: Rodney Leonard: "No food stamps, no farm program." Rodney Leonard: "No food stamps, no farm program." The Republican-led House of Representatives recently passed a Farm Bill with no food stamp provisions. Fiscal conservatives in the House hope this will allow them to make deep cuts to the Supplemental Nutrition Assistance Program (SNAP) without jeopardizing their political support from farmers. It is unlikely to work out that way. In a note this week on the Institute for Agriculture and Trade Policy (IATP) site, Rodney Leonard, who had been a special assistant to Agriculture Secretary Orville Freeman in the early 1960s, described the early politics that led Congress to combine nutrition assistance and farm programs into a single Farm Bill. The union began when Secretary of Agriculture Orville Freeman finally pushed the Democratic majority of House of Representatives to approve by a narrow 30-vote margin legislation to adopt the statute creating a permanent food stamp program originally proposed in 1961 by President John F. Kennedy. That program is a far cry from the program that today ensures the right of every American adult to choose to protect themselves and their children from hunger. Freeman was intent on linking the capacity to feed a growing nation to a policy insuring that every person, regardless of income, is entitled to share in an abundantly productive agriculture. Within two weeks of the passage of the food stamp legislation, Freeman was able to convince an urban dominated Congress to adopt a Farm Bill establishing supply management as the new post-war policy for American agriculture. Agriculture could maintain remunerative prices for farmers despite a structural tendency to overproduce year after year. To some extent, this policy logic remains intact. Leonard argues that -- far from allowing farm programs to thrive without SNAP -- the divorce between the two parts of the Farm Bill will allow the nutrition assistance program to survive. It is the farm programs that will lose support. The effort of the House GOP to perform political surgery to remove food stamps can have only one predictably disastrous outcome: Food stamps will survive. An urban nation will not compel millions of its residents to accept a life dominated by hunger. But, if divorced from food stamps, farm programs, whose benefits largely are delivered to the largest 200,000 farm operations, likely will perish in the ideological bonfire that is the GOP Farm Bill. The political conflagration will inevitably include rural America as well. Simply put, no food stamps, no farm program. I am not sure. With separate bills, SNAP also faces political hazards. We will see what happens next. In addition to being a former special assistant at USDA, Rod Leonard is a past board member for IATP, and he is author of a history about Orville Freeman's time as governor. Rod was the long-time executive director of the Community Nutrition Institute (where he hired me as an editor in 1990, my first-ever job in U.S. food policy).